Among the Roman military, few units are as legendary as the Praetorian Guard. 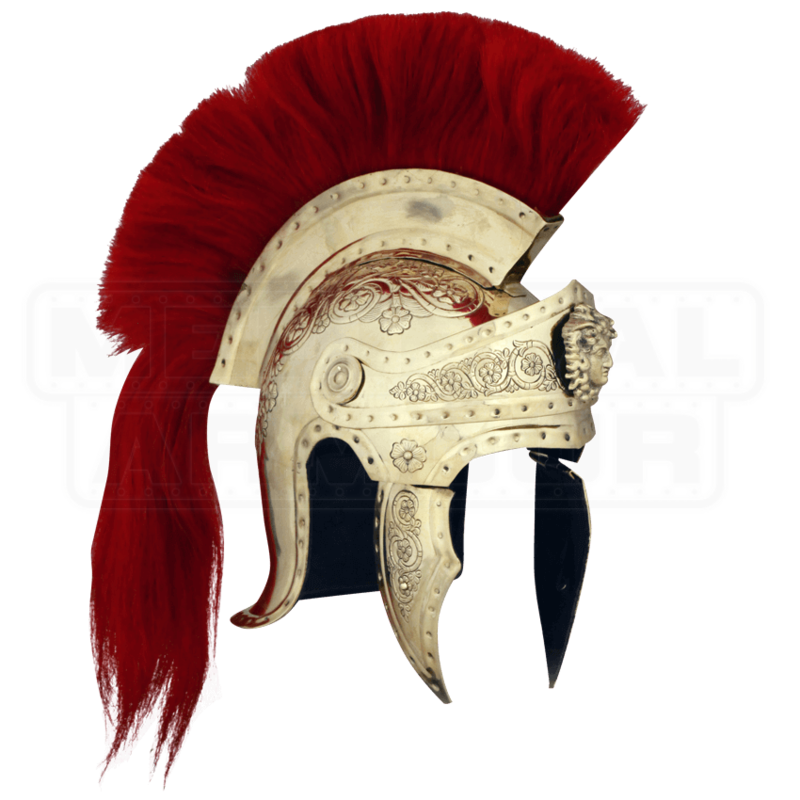 They were well-known for their prowess, and were instantly recognizable, thanks to the ornate, red-plumed helms they wore, similar in appearance to this Praetorian Guard Helmet. Generally, the ranks of the Praetorian Guard were made up of the finest soldiers, some being hand selected by generals, and later, by Caesars to serve as their personal entourage and protectors. This particular helmet features a touch of rich royal style, befitting such a ranking position. The helmet is brass finished, and heavily adorned with natural vine detailing and floral embossed designs, while also featuring the face of the Caesar on the helmets brown. The helmets shape is based on the classic Roman imperial helmet, featuring a long back, open ears, an open face, and hinged cheek protectors. Mounted atop the helmet is a great red crest - a pivotal part of the classic praetorian guards general look. 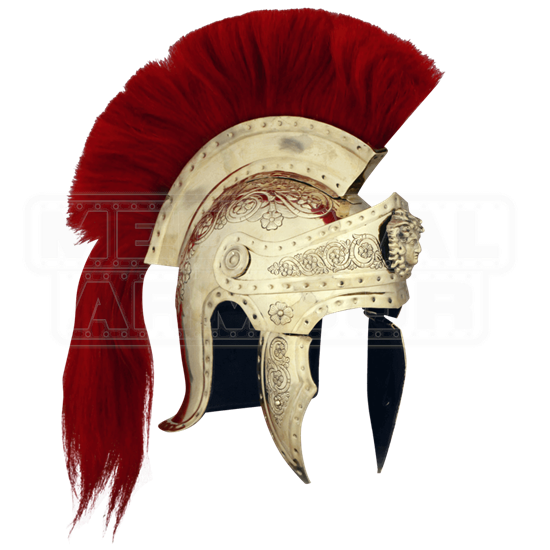 For the Roman reenactor, this Praetorian Guard Helmet is perfect for creating a flashy and powerful look worthy of this ancient unit, and even history enthusiasts will find that this helm is the perfect blend of actual history and rumored Roman style, which makes it a great display piece, too.